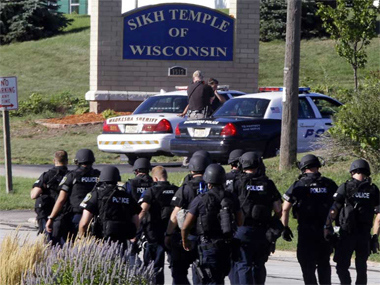 Most of you must have followed the unfortunate shooting of some Sikhs in a Gurudwara in USA on 05 August 2012. What was most striking about the episode was the conduct of the Sikh community in USA. They conducted themselves with dignity and honour. Their conduct has shamed many Americans. I had read many American papers and watched the TV coverage of the date. All communities including Christians, Muslims, Jews etc not only condemned the killings but came out openly in support of a very mature and religious community. Even the mother of the assailant was apologizing to the Sikhs openly. In all this tragedy the conduct of our Sikh friends had been exemplary. Not one angry word, no burning of buses, no abuse, and no vulgar display of sorrow. Listening to the family members of the victims was so satisfying. No whining. I felt proud of being an Indian in sharing their sorrow. In North America you do not protest by burning buses, abuses, vulgar display of sorrow, etc because they are all criminal offences as also the case in India. Here legal action would be initiated in case of such incidence and the court would take serious view of it, sometimes based on media video footage. Once your name is in the offenders list, finding a job, a house, a car etc would become difficult as everything is connected to your Social Security Number. May be with Aadhar, in India also things will change. A few years back, in a protest by thousands of members of Toronto’s Tamil community, blocked and shut down the Gardiner Expressway for five hours. They were demanding the Canadian government to impose sanctions on Sri Lanka in wake of the civil war. This mode of protest was condemned by everyone in Canada. This protest took away any sympathies the Srilankan Tamils had in the minds of any Canadian. US President Barak Obama insisted that American flags in the capital and at all government buildings throughout the nation be flown at half-mast in honour of the victims of the Gurudwara massacre. May be a token gesture some may claim, will not bring back the dead or justice may not done etc. Recently there was carnage in Assam and did the Nation ever mourn the dead or fly the National Flags at half-mast? Some sceptics may say that in that case the national flag will mostly remain at half-mast. Is it that we have become so insensitive to such happenings? In Kerala we saw the protests by a political party when a district level leader was arrested. We saw how the state was held to ransom by a handful of misguided elements. The damage to public property was huge so was the inconvenience to the public in general. May be its true that in a Democracy we get what we deserve and not what we desire. We need to learn from the way the US as a nation mourned the death of its citizens and how the media and the public reacted to the massacre. The media did not show the deployment of the police forces in and around the Gurudwara so that the attacker(s) if any left would not make use of it. Compare it with what happened in Mumbai (26/11) and also the media frenzy during the recent Assam carnage which may have contributed to worsening the situation. The US media did not show any dead-bodies or dear and near ones of those killed wailing, thereby reducing the pressure on others. Even though there is no media censorship or guidelines, responsible reporting is done by the media. In India, the whole incident would have been sensationalised by the irresponsible media, as was the case in Assam, resulting in worsening the crisis.